ColorMeld metal prints are a unique medium for presenting your own photos. 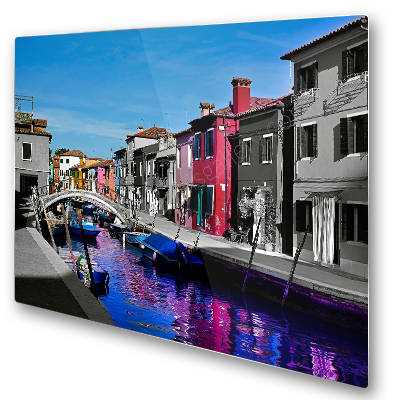 Using a specialized sublimation process, ink dye is directly infused onto a treated aluminum panel. The end-result is an impressively vibrant print with a luminous quality only possible with metal. Aluminum hanging strips or z-clips are available. These provide a fast and secure method of hanging. That means you can have your print up on your wall in no time. The high gloss finish uses a white base to provide the brilliance of photographic paper, with the added quality of an aluminum surface. The specialized heat-transfer process ensures the image is fully absorbed by the metal, providing great colour depth and vibrancy. With ColorMeld's high gloss finish, your photos are instantly transformed into bold pieces of contemporary wall art. Looking to add a picture frame to your print? We can help! Our in-house framing design specialists can work with you to find the perfect frame design to compliment your metal print. We’ll take care of your project from start to finish, including photo printing and picture framing assembly.